“To be or not to be Holy” should never be a question. Sadly, many who think they understand holiness, are simply wrong, still others live frustrated as they attempt to make themselves holy. Because of these extremes there exists much confusion concerning the meaning of “Be holy, for I am holy”. As we discovered in Part I of this series holiness in the human can only be possible if God first makes some changes to that humanity in a definitive way. We find this change, in the power of the finished work of Christ in His death and resurrection. The person in Christ, is a literal supernaturally new creation. By repentance and faith, the blood of Christ is applied to cleanse our sin from our souls. We are declared not guilty (Romans 5:9-11). This not guilty means we are holy in God’s sight. This is what theologians refer to as “positional holiness”. Interestingly, this “positional holiness” carries with it an idea we often forget, which is that our being declared “holy” means we are dedicated as His property for His use alone. We do not often dig that deep, focusing on the ticket to paradise view point we have, concerning the atoning work of Christ on our behalf. ; more on this a bit later. Truth told, although some struggle with understanding the positional view, it is the most readily understood and accepted. More difficult is how this relates to God’s command to “Be holy, for I am holy”, because the “Be” carries with it the truth of being more holy with each passing moment, as a growing state of being. Before diving into what this means, let us go back to the foundation of all holiness first, God Himself; in order to rightly understand the “holy” we are to be. I Peter 1:15-16 is a quote from Leviticus 11:45; a passage where God is outlining the commands Israel were to obey, which would make them unique among the pagan nations. These commands would define them as the people of YHWH, the One true God. These commands were given to keep Messiah’s line as pure as possible, while highlighting the need for grace in the pursuit of holiness. Note “Be holy, as I am holy” was never stated as a means of attaining salvation, but a means of ultimately being desperate for the Savior. How was this possible? Remember, God’s commands are not burdensome, therefore, even the ten commandments could be followed to a certain degree, just not perfectly. but to be holy is a state of transformation, that leads to practical and growing righteous and holy behavior. Being Leviticus was written before Jesus’ cross and resurrection, the only outcome for the Israelite’s sincere attempt to “Be holy” would be, the need for temporary atonement, as they failed in keeping the law perfectly. In the Greek language of our passage the word for “I am holy” means to be “sacred”, “consecrated” or “set apart”. In taking these three into consideration with what we know about God “for I am holy” means to be completely “other” or “wholly different” than anything God has created (as in above, beyond, past finding out). Scripture itself gives us a more detailed picture of God’s holiness. His holiness unfiltered purity and filled with majestic fiery glory, even His most glorious creatures need to be partially in His sight and elicits a cry of “Holy, Holy, Holy” (vs 2-3). As majestic is the universe created by God, his Holiness is greater than it all, so much that His holiness permeated all of His creation (vs. 3). His holiness is so powerful in its presence, it causes the things created and things created to shake (vs. 4). His holiness revealed causes the best men the world has to offer to be unwound in His presence (vs. 5). His holiness changes those who humbly submit to Him, allowing continual contact (vs. 7). Isaiah 57:15 For thus says the High and Lofty One Who inhabits eternity, whose name is Holy: “I dwell in the high and holy place, With him who has a contrite and humble spirit, To revive the spirit of the humble, And to revive the heart of the contrite ones. Remembering His Holiness means He is above and beyond all that He has created, we see this in the title Lord God Almighty. His holiness reveals omnipotence (vs. 8). Not only did He create all things in holiness, He continues to hold them all together in His almighty and Holy power (vs. 11; Colossians 1:15-18). His Holiness is seen in Jesus Christ, alone worthy to take the scroll and open the seals. Exodus 15:11 reveals that when God manifest’s His glory in this world, it is His Holiness that arouses fear in His enemies. Exodus 34:5-7, although not using the word holiness, this scripture implies through the revelation of His glorious person to Moses, that God’s holiness is what draws the contrite. It also reveals that His Holiness being so pure, is absolutely intolerant of any impurity. He hates sin, and judges those who refuse to repent. Psalm 97:9 reveals God’s Holiness in that He is higher than all the fallen angels who masquerade as god’s to the people of the world. We also see in this psalm God’s Holiness demands He hate evil, or moral impurity and preserve those who are righteous by faith in His Son. In some manner, most have heard or read some of these wonderful things about God’s Holiness, but let’s make it practical. Think of the most remarkable person you ever read of, besides Jesus, because He is God, then know that as awesome as their person or exploits may have claimed to be, they can’t come close to God. Consider the most powerful awe inspiring thing you have ever beheld with your eyes, and it can’t come close to God’s Holiness. Think of the universe itself with all its massive incalculable size and it will never come close to the immensity of God. He is Holy, which means so incomprehensible or immeasurable in all His attributes, that words can’t describe how HOLY He is. Although His Holiness may be more than mind boggling, we can know “for I am holy” through faith, because all we can grasp or know about His “for I am holy” is seen and experienced in Jesus Christ our Lord. Colossians 2:9-10 For in Him dwells all the fullness of the Godhead bodily; and you are complete in Him, who is the head of all principality and power. 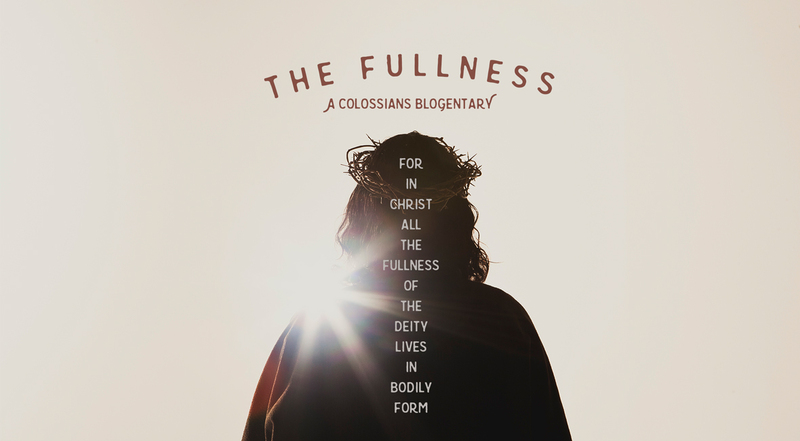 In Jesus Christ, the fullness of God’s Holiness can be encountered and since we can know Jesus Christ by His indwelling Spirit, we can “Be holy, as I am holy” in more than just a positional sense. Do you believe that? If so, come back next time as we go on a walk of holiness with God. This entry was posted in A.W. 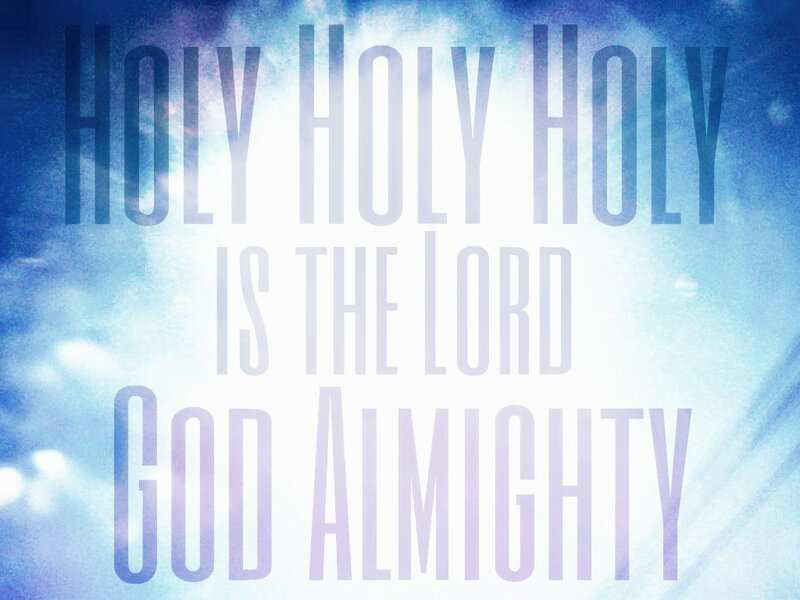 Tozer, Be Holy, for I am holy, holiness, Holy Spirit, I Peter 1:13-16, Uncategorized. Bookmark the permalink.